245 Beacon is located on the south side of Beacon, between Clarendon and Dartmouth, with 243 Beacon to the east and 247 Beacon to the west. 245 Beacon was built ca. 1868 for real estate dealer Henry Whitwell, for speculative sale, one of six contiguous houses (241-243-245-247-249-251 Beacon), designed as three matching and symmetrical pairs. 239 Beacon was built at the same time and in the same style; 253 Beacon (since destroyed) also was built at the same time and probably in the same style. Click here for an index to the deeds for 245 Beacon. On February 12, 1868, 245 Beacon was acquired from Henry Whitwell by Thomas Dennie Boardman and Miss Anna Fearing Leeds, purchased in anticipation of their forthcoming marriage. He lived at 120 Beacon with his parents, Benjamin Greenleaf Boardman, Jr. and Sarah Bryant (Dennie) Boardman. He was a hide and leather merchant in partnership with his father. Anna Leeds lived at 188 Beacon with her parents, James Leeds, Jr., and Mary Elizabeth (Fearing) Leeds. T. Dennie Boardman and Anna Leeds married In April of 1868 and made 245 Beacon their home. They continued to live there during the 1880-1881 winter season, after which they moved to a new home they had built at 242 Beacon. On March 16, 1881, 245 Beacon was purchased from the Boardmans by Joseph A. Iasigi. He lived at 43 Mt. Vernon with his mother, Eulalie (Loir) Iasigi, the widow of Joseph A. Iasigi. In April of 1881, he married Marie P. Homer and they made 245 Beacon their home. Joseph Iasigi was a merchant in the Mediterranean trade. After the death of his brother, Oscar, in 1884, he assumed his brother’s role as Turkish Consul General in Boston. He also succeeded him as the trustee for the American properties of several European estates. The Iasigis continued to live at 245 Beacon during the 1896-1897 winter season. In November of 1897, he was found guilty of embezzling about $200,000 from two European estates and was sent to prison. On May 22, 1897, 245 Beacon was acquired from Joseph Iasigi by Henrietta Goddard (Wigglesworth) Holmes Fitz, the widow of Edward Jackson Holmes, Sr., and the wife of Walter Scott Fitz. W. Scott and Henrietta Fitz lived at 75 Beacon (W. Scott Fitz previously had been married to Henrietta Wigglesworth’s sister, Anna Cornelia Wigglesworth, who died in September of 1878, four months after their marriage). 245 Beacon became the home of Henrietta Fitz’s son and daughter-in-law, Edward Jackson Holmes, Jr., and Mary Stacy (Beaman) Holmes, who married in July of 1897. At the time of their marriage, Edward Holmes was still a law student at Harvard. He received his law degree in 1899 and subsequently practiced law in Boston. 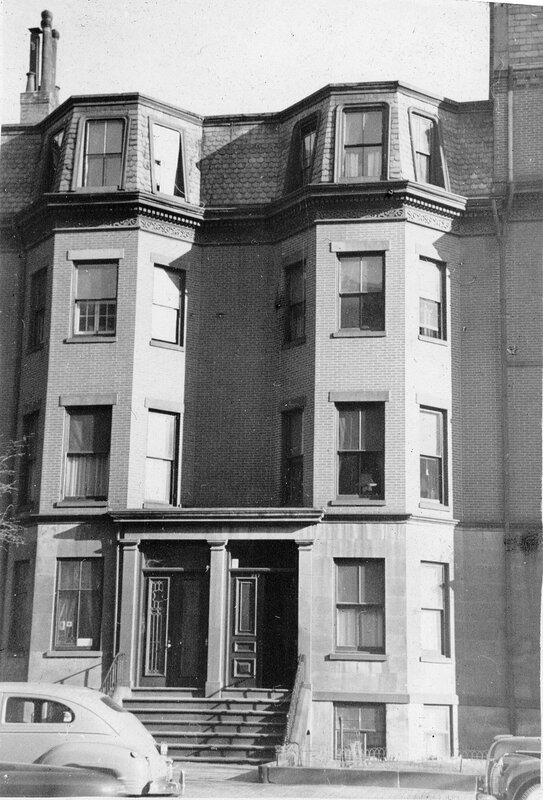 Edward and Mary Holmes continued to live at 245 Beacon until about 1903, when they moved to 296 Beacon, which had been built for his grandfather, Dr. Oliver Wendell Holmes, and had been the home of his uncle, Oliver Wendell Holmes, Jr., until he moved to Washington DC after his appointment to the US Supreme Court. On October 13, 1903, 245 Beacon was purchased from Henrietta Fitz by Isabella Vassal (Stewart) Baird, the wife of John Caldwell Baird. They previously had lived in an apartment at 333 Commonwealth. John Baird was a stained glass manufacturer. John Baird died in October of 1905. Isabella Baird and their son, Stewart, continued to live at 245 Beacon until about 1907. Stewart Baird graduated from Harvard in 1903, after which he was a manufacturer of glass and railroad signals. In about 1908, he moved to New York City to become an actor with the New Theatre Company. By the 1907-1908 winter season, 245 Beacon was the home of shoe manufacturer Louis Bartlett Thacher and his wife, Delia Aimée (Tudor) Thacher. They had married in October of 1907 and 245 Beacon was their first home together. They continued to live at 245 Beacon during the 1908-1909 winter season, but moved soon thereafter to 81 Beacon. During the 1909-1910 winter season, it was the home of Dana Malone and his wife, Margaret Bradford (Robbins) Malone. Their primary residence was in Greenfield. Dana Malone was an attorney. He served as a member of the Massachusetts House of Representatives and the State Senate, and from 1906 to 1910 was Massachusetts Attorney General. 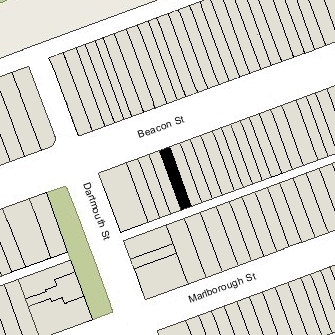 They had moved from 245 Beacon by the 1910-1911 season, and by the 1911-1912 season were living at 124 Marlborough. During the 1910-1911 winter season, 245 Beacon was the home of Mrs. Anna (Walton) DeKay, the wife of John Wesley DeKay. She had lived at 50 Fenway during the previous season. John Wesley DeKay had been a newspaper publisher in the midwest; in 1902, he formed the United States Packing Company (later the Mexican National Packing Company), a food packing and distribution company based in Mexico. She moved soon thereafter and 245 Beacon was not listed in the 1912 Blue Book. During the 1912-1913 winter season, it was the home of textile manufacturer John Naylor Stevens and his wife, Leila S. (Safford) Stevens. They previously had lived in Springfield. By the 1913-1914 season, they had moved to Brookline. 245 Beacon was not listed in the 1914 Blue Book. During the 1914-1915 winter season, it was the home of Alice Munroe (Barber) Toulmin, the widow of banker John Edwin Toulmin. By the 1915-1916 season, she had moved to the Hotel Somerset. 245 Beacon was not listed in the 1916 Blue Book. On May 31, 1916, 245 Beacon was purchased from Isabelle Baird, by then a resident of New York City, by Robert Apthorp Boit. He was an insurance agent and lived in Brookline with his wife, Lillian (Willis) Boit. By the 1916-1917 winter season, 245 Beacon was the home of the Boits’ son-in-law and daughter, banker William Appleton Burnham, Jr., and Alice (Boit) Burnham. They previously had lived at 87 Beacon with his father, William Burnham, Sr. They continued to live at 245 Beacon during the 1920-1921 season, but moved thereafter to Brookline. Robert A. Boit had died in March of 1919, and on September 15, 1921, 245 Beacon was purchased from his estate by Richard Olney. He and his wife, Anna Kerr (McCullagh) Olney, made it their home. They previously had lived in Dedham. Richard Olney was a wholesale wool merchant. He had served as a Member of Congress from 1914 to 1920, but had been defeated for re-election in 1920. They continued to live at 245 Beacon in 1924, but had moved to The Grosvenor apartments at 261 Beacon by 1925. On June 23, 1924, 245 Beacon was acquired from Richard Olney by Dr. Patrick Somers Smyth. He and his wife, Irene Louise (Kennedy) Smyth, made it their home. They previously had lived in Brookline. They also maintained a home in Swampscott. P. Somers Smyth was an ophthalmologist; he maintained his offices at 270 Commonwealth. On July 7, 1924, he transferred the property into his wife’s name. P. Somers Smyth died in October of 1929. 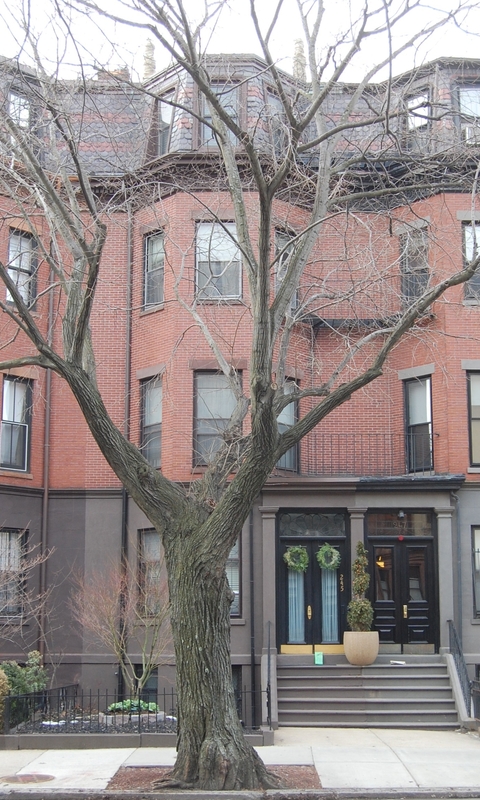 Irene Smyth continued to live at 245 Beacon until about 1931, when she moved to Brookline. On June 16,1931, 245 Beacon was acquired from Irene Smythe by Harold Peter Janisch, who transferred it on the same day to his wife, Alice Pauline (Lindemann) Janisch. The sale was reported by the Boston Globe on June 21, 1931, which noted “this property, formerly the home of Richard Olney, contains features of unusual interest, and has been thoroughly modernized by the recent owner.” The Janisches previously lived in Brookline. Harold Janisch had been a lawyer in Madison, Wisconsin, and then a lawyer and later an insurance agent in Chicago. By the late 1920s, he was a vice president of the Shawmut National Bank. They continued to live at 245 Beacon in 1935. They separated at about that time. The house was not listed in the 1936 and 1937 Blue Books, and was shown as vacant in the 1936-1939 City Directories. Alice Janisch transferred the property back to her husband on March 18, 1938. At the time of the transfer, she was living in Chicago and he was living in New York City. 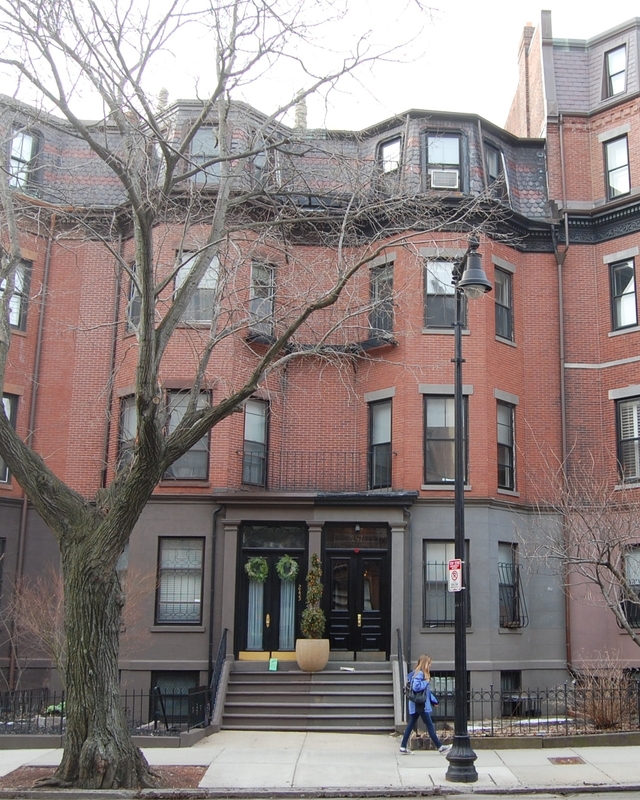 On June 30, 1939, 245 Beacon was purchased from Harold Janisch by Shirley Clifford Speed, a real estate dealer who converted many Back Bay houses into lodging houses and apartments. On July 15, 1946, 245 Beacon was acquired from S. Clifford Speed by Miss Lucie M. Beete, who operated it as a lodging house. She previously had lived at 249 Beacon, where she had operated a lodging house owned by S. Clifford Speed. A number of the lodgers from 249 Beacon moved to 245 Beacon with her. She continued to live at 261 Beacon and operate it as a lodging house in 1961. On July 7, 1961, 245 Beacon was acquired from Robert D. O’Leary, conservator of the property of Lucie Beete, by Rev. Henry Jon Stonie, pastor of Christ Church, a Unitarian church in Dorchester. He and his wife, Mary Jo Stonie, lived in one of the apartments. In December of 1995, Mary Jo Stonie filed for (and subsequently received) permission to legalize the occupancy as nine apartments, noting in the application that it had been composed of nine units for 35 years. On November 3, 2000, Rev. Stonie transferred the property to himself and Mary Jo Stonie, as trustees of the 245 Beacon Street Realty Trust, and on April 18, 2011, they transferred the property to Stonie Enterprises, LLC. The property remained an apartment building in 2016.